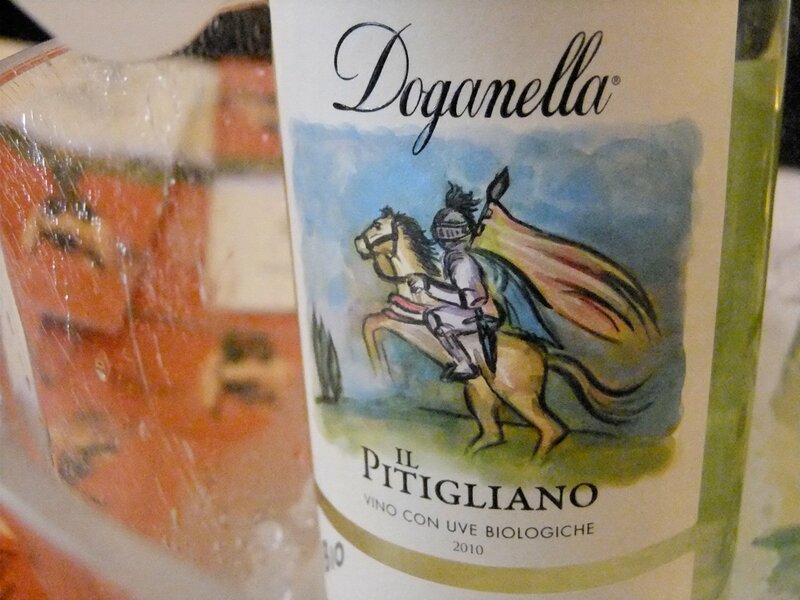 The Bianco di Pitigliano is an up-and-coming DOC white wine produced in Pitigliano and the municipalities of Manciano, Scansano and Sorano. This white wine is so characteristic because it is the product of centuries of wine making history. The wine cellars in Pitigliano were carved into the tuff base of the city in prehistoric times and definitely add something to the modern wines. The original white wine is made from a mixture of Trebbiano Toscano grapes, a minimum of 50%, with a mixture of any other authorized and recognized white berried grapes. Food pairing: It goes well with hors d’oeuvres and seafood in general. The white superiore is made from the same blend of grapes as the white. The sparkling wine is made from the same blend as the other two whites.